The only automatic tool change for large press brakes. Until now, automatic tool changers have only focused on speed and the elimination of tooling errors. From today with Agile you can accept large volumes of work and achieve total customization even with large parts. 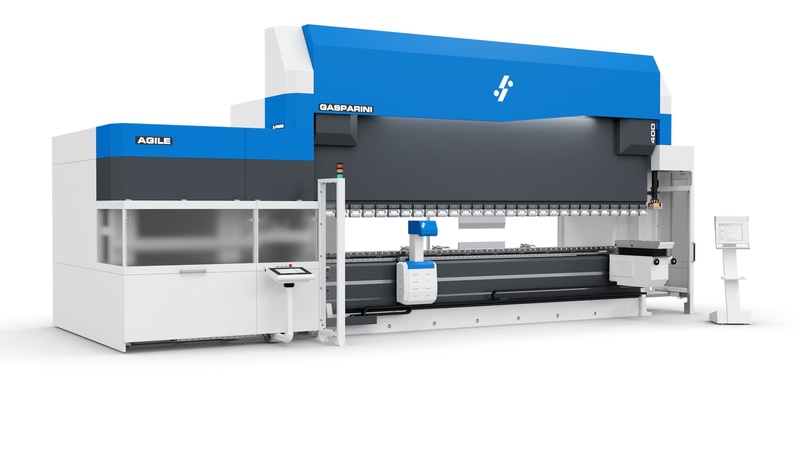 Agile is the tool changer interpreted and designed by Gasparini, dedicated to companies looking for the best from their press brakes. With Agile, you can perform a large number of processes, from high thicknesses up to 290 mm deep boxes. Agile is the perfect combination of process automation and increased production capacity.